Retrievable Inferior Vena Cava (IVC) filters are intended for use in catching blood clots before they can travel to the lungs. But reports to the FDA describe hundreds of adverse events suffered due to IVC filters resulting in serious medical complications or death. 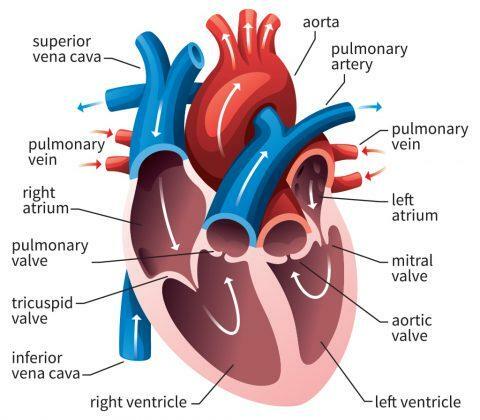 The vena cava is the largest vein in the human body. The inferior vena cava is the lower portion of this vein and carries de-oxygenated blood from the lower half of the body back to the heart. Blood clots can form in deep veins in the body, most often those of the legs or thigh, and are known as deep vein thromboses (DVTs). Clots can travel from a DVT to the lungs, causing a pulmonary embolism, the name for a blockage in an artery in the lungs, which can cause death. DVT is most frequently treated with anticoagulant drugs to dissolve blood clots. IVC filters may be used in cases where patients cannot tolerate anticoagulation drugs or where anticoagulants are ineffective in treating DVT in a patient. 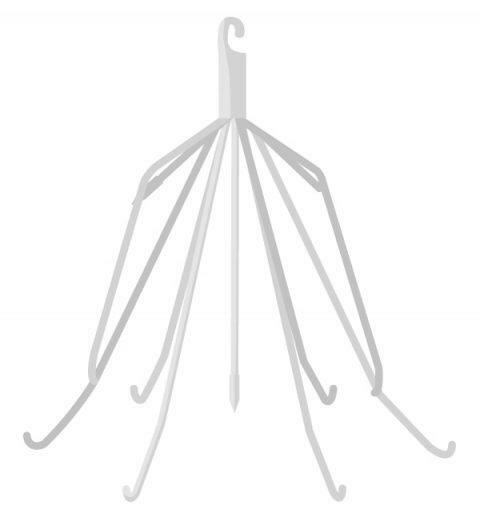 IVC filters are cage-like devices that are inserted into the inferior vena cava with the intention of capturing blood clots and preventing them from traveling. Some IVC filters are intended to remain in the vein permanently. Retrievable IVC filters, however, can be removed. If you have suffered an injury from a retrievable IVC filter, you may be entitled to compensation for medical expenses or other compensation. Weitz & Luxenberg may be able to help you, beginning with a free consultation. If you or a family member experienced complications after having a retrievable IVC filter implanted, you may benefit from talking to an experienced attorney to help determine your legal options. 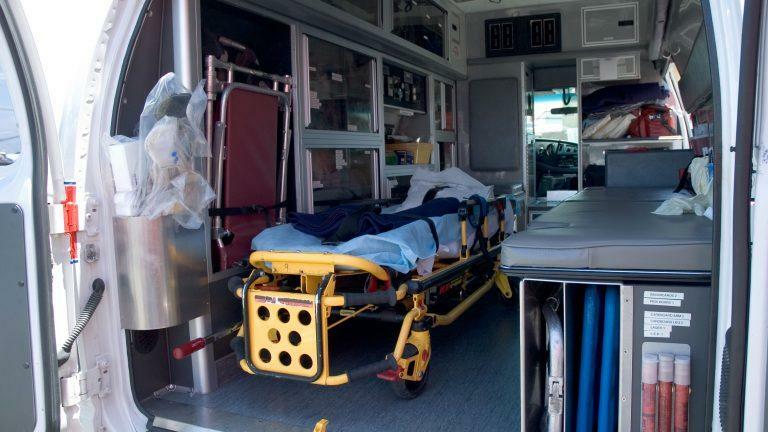 Weitz & Luxenberg has three decades of experience in complex device-related litigation and has been instrumental in settlements and verdicts worth billions for thousands of people harmed by medical devices. Hundreds of lawsuits have been filed against the manufacturers of retrievable IVC filters, with many cases combined into multidistrict litigations (MDLs). MDLs combine multiple lawsuits for the purpose of discovery and pre-trial practices, potentially saving time and money, and often allowing cases to move more quickly through the legal process. The MDLs involve two manufacturers of retrievable IVC filters: Cook Medical and Bard Peripheral Vascular, Inc. (whose parent company is C.R. Bard). If you or a family member suffered from complications after being implanted with a retrievable IVC filter, you may be entitled to compensation. Weitz & Luxenberg may be able to help, starting with a free consultation. In late 2015, NBC News cited “confidential company records” in a series of reports alleging C.R. Bard kept some retrievable IVC filter models on the market for five years after discovering the devices had fatal design flaws. The network, citing an analysis of FDA and Bard records, reported that the company’s Recovery model was associated with 27 patient deaths. Bard never recalled the Recovery filter, instead replacing the model with the G2 series in 2005, only three years after the Recovery had first been introduced to the market. NBC reported the G2 series was associated with another 12 deaths by 2015, and that the first reports of failures similar to those seen with the Recovery filter appeared as early as four months after the G2 filters had been introduced to the market. In 2010 the FDA issued an Initial Communication regarding the removal of retrievable IVC filters and then a Safety Communication in 2014, saying it was “concerned that retrievable IVC filters, when placed for a short-term risk of pulmonary embolism, are not always removed once the risk subsides.” The agency recommended doctors remove retrievable IVC filters from patients as soon as possible when they were no longer needed. In 2015, the FDA sent a warning letter to Bard’s Chairman and CEO Timothy M. Ring after inspectors found violations at the company’s facilities in Tempe, Arizona, and Queensbury, New York. The FDA first and foremost noted in its letter that Bard was manufacturing a “Recovery Cone Removal System” without marketing clearance or approval from the agency, meaning the device was adulterated and in violation of federal law. The device was labeled as a tool intended for removal of the company’s Recovery, G2, and G2X retrievable IVC filters. In 2016, Canada’s medical device regulatory agency, Health Canada, issued a notice to healthcare professionals and consumers warning of “Risk of Serious Complications” from IVC filters. The agency cited reports of serious complications, many of which occurred in people who had the devices implanted for more than 30 days – what the agency considered long-term filter implantation. In its statement, Health Canada said that as of the date of the publication of the alert in 2016 it had received 121 reports of serious complications associated with IVC filters. It listed 12 models, both permanent and retrievable, made by six companies, affected by its announcement. These included Bard’s G2 and Denali models and the Cook Celect and Gunther Tulip models. Years before the FDA and Health Canada recommendations, some studies of retrievable IVC filters had documented complications occurring with these devices. Multiple studies have found problems with IVC filters breaking, puncturing veins, and other potentially serious problems related to the devices. In 2015, researchers looking into the difficulty of retrieving certain IVC filters discovered a high rate of blood vessel perforations by Cook Celect retrievable IVC filters. They examined filter retrieval procedures of 99 people implanted with the company’s Celect model compared to 86 patients implanted with Rex Medical’s Option retrievable IVC filter. The average time patients had one of the filters implanted was slightly over two months. The researchers discovered that after removal, those patients implanted with the Celect model had a 43 percent perforation rate, compared to zero percent for those implanted with the Option filters. “I was panicking,” she told The Washington Post in 2016. Fearful that a fragment of the filter could travel to her heart, she opted to remove the implant. “It was the best day of my life,” she said. Dodi Froehlich received a Bard Recovery retrievable IVC filter in 2004 after a car accident put her at greater risk for blood clots. Just four months later, she had to be rushed to the hospital after she developed a severe headache and passed out. Part of the device had broken off, piercing her heart. She required open heart surgery to remove the filter fragment and save her life. Others have not been as lucky. Gloria Adams died just a week after receiving a Bard Recovery retrievable IVC filter in 2004. NBC reported her autopsy revealed that instead of stopping a clot, one had pushed the filter into her heart, puncturing her heart and killing her. The doctor said he has removed roughly 1,000 failed IVC filters between 2005 and 2015 and that the Bard models accounted for more procedures than any other single filter manufacturer. If you or a family member has been injured by a retrievable IVC filter, you may be entitled to compensation for medical expenses, pain and suffering, lost wages, and other costs. Discussing your situation with an attorney experienced in medical device litigation can help you understand what options are available to you. Weitz & Luxenberg may be able to help, beginning with a free consultation. In recent years, more than a thousand lawsuits have been filed over retrievable IVC filter failures. Lawsuits against Bard and against Cook have been combined in separate Multidistrict litigations (MDLs) against each company. An MDL in Indiana’s Southern District federal court includes more than 100 lawsuits over Cook’s retrievable IVC filters. The first bellwether lawsuit against Cook is scheduled for October 2017, with two more planned in 2018. More than a thousand lawsuits against Bard over its retrievable IVC filters have been consolidated into an MDL in federal court in Arizona. Parties in the Arizona MDL were to select six bellwether cases in March 2017. The trial is unlikely until 2018 at the earliest. The MDL court in the Southern District of Indiana has appointed Jonathan Sedgh of Weitz & Luxenberg’s Defective Drugs and Medical Devices Unit to serve on the Plaintiffs’ Steering Committee. Mr. Sedgh was also a part of the 2014 MDL trial team that won a more than $9 billion verdict* against the manufacturers of the diabetes drug Actos. 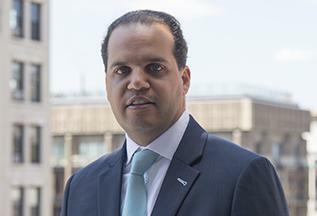 Mr. Sedgh was one of the attorneys who represented a diabetic man who developed bladder cancer after taking the drug. Weitz & Luxenberg attorneys have also played crucial roles in MDL settlements for all injured plaintiffs resulting in a total of more than $4 billion for faulty hip implants. If you have been implanted with a retrievable IVC filter that migrated or fractured within your body, punctured your blood vessels or organs, or caused organ damage, Weitz & Luxenberg would like to talk to you. The firm also wants to hear from people who have had a family member die of complications after being implanted with an IVC filter. * Past performance is no guarantee of future results. The Actos verdict was reduced to approximately $38 million by the trial court on October 27, 2014. The settlements in which Weitz& Luxenberg played leadership roles included patients not represented by Weitz & Luxenberg. Boodman, S. (2016, December 4). Five Simple Steps to Avoid Becoming a Medical Mystery. Retrieved from https://www.washingtonpost.com/national/health-science/five-simple-steps-to-avoid-becoming-a-medical-mystery/2016/12/02/9b4bd354-9f6e-11e6-8d63-3e0a660f1f04_story.html? To speak to an attorney today about your legal needs, please call us at (844) 787-8721.